This blog says capital letters should only be used in press releases when it’s grammatically correct to do so. I don’t represent the grammar police. I’m not suggesting that language should be everyone’s forte or that there isn’t a time and a place for capital letters. In blogs and social media posts, there’s nothing wrong with emphasising a point or trying to make a comment stand out. It’s noisy out there and we need to do what we can to make our messages pop. But press releases are different. 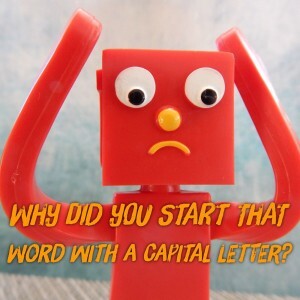 There are actually very few reasons to use capital letters mid-sentence so if every line has one, like some media announcements we see, there’s a good chance the writer has given the recipient (journalist) unnecessary editing, which could result in the PR being overlooked. There’s pretty much never a reason to write a full word in capitals unless it’s an acronym. Have you ever received an email saying something like, ‘…we MUST do better…’ or ‘…please DON’T park in the boss’s space…’? This blog isn’t about that per se but it does make the point that capital letters can be powerful; they evoke emotion. That’s why I’ve never understood how many companies litter their media announcements with misuse (abuse, even) of capital letters. The initial recipients of such articles are editors and journalists—wordsmiths, by trade. What message is someone sending to a professional writer if they open a press release, ‘…has launched a NEW crane hook…’? The implication might be that the editor, whose job it is to read press releases and decide which are newsworthy, might not have noted that the product was new if such emphasis wasn’t placed upon the word. May as well bold and underline it next time! Company and product references are also commonly capped up in press releases. BAD IDEA (I said it was ok in blogs!). Few if any reputable newspapers, magazines or other media outlets will keep these words in capital letters in their pages. It’s better but still wrong. Some companies go the other way and give products names with lower case first letters. Don’t be surprised if liftstar appears as Liftstar when published because grammatically that’s how it should be as the brand or product name. Particularly if it’s not a real word in English, a journalist isn’t going to like using it in lower case. People tend to like referencing the sector in which they work in capital letters. No, one doesn’t work in the Material Handling, Construction or Offshore industry. Even if the prose are otherwise accurate and suitable for publication, an editor has to go through and correct every misused capital letter. There’s no quick way of doing this; it’s a case (literally) of accurately positioning the cursor and editing accordingly. Granted, it’s more of a style issue, but I’d also advise against putting job titles in capitals. Bill Logan, Vice President of Manufacturing and Production is harsher than the alternative. My intention was not to get too technical but the above outlines areas where anyone over-using capital letters in their media announcements can tone them down and actually get more coverage as a result. Read Stop Press for another blog about the art of the press release.